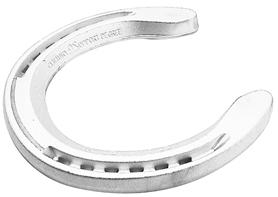 Kerckhaert has produced the Aluminum Century Degree to complement the Aluminum Century Unclipped shoe. 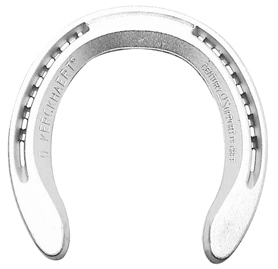 Farriers will find a wedge platform on this shoe, with many of the features of the unclipped series. Shoes are symmetrical. Sizes 0 and 1 punched for 5 Slim. Size 00 and 000 punched for 5 Race.